Overlooking the Rhone valley, the project "Clos de La Gasse" will appeal to lovers of contemporary architecture. 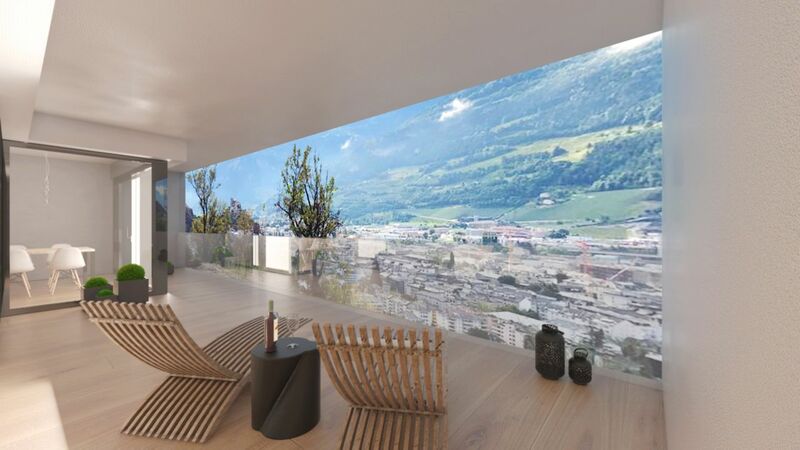 In addition this building enjoys a panoramic view of the Valais Alps as well as the surrounding vineyards. The last 2 contiguous villas consist of a large bright living room opening onto the kitchen and direct access to a terrace. In order to relax day and night, each of the 3 bedroom villas and a central patio on one level. Two indoor parking spaces, a reduced and a large cellar included in the price compliment these properties.